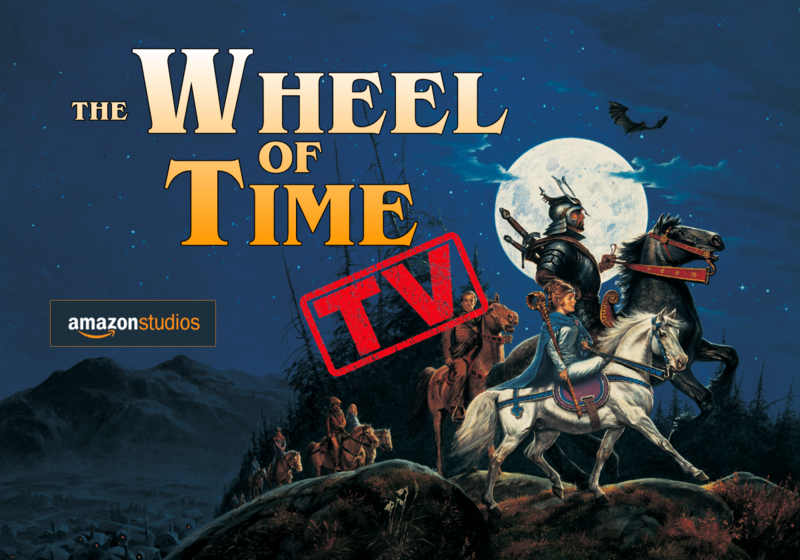 As reported earlier today, Amazon Studios has greenlit the first season of a Wheel of Time TV show. From The Hollywood Reporter: Backstory in Brief The story of getting the book series adapted for the screen has been long and tumultuous. A full history of the franchise's adaptation journey is beyond the scope of this article, but the short version is that the rights to the series were originally optioned by NBC in 2000, then held briefly by an independent group called Forsaken Films. In 2004 the option passed from Forsaken to Red Eagle Entertainment, who held the rights until they worked out a deal with Radar Pictures and Sony Pictures, who eventually made the deal with Amazon. During the Red Eagle years, multiple valiant efforts were made to adapt first book in the series, The Eye of the World, into a stand-along film, but those projects never took off. In order to prevent their option from expiring, Red Eagle infamously created the heavily-panned "Winter Dragon" short "pilot" that ultimately led to a lawsuit and counter lawsuit between themselves and Robert Jordan's estate. The lawsuits were settled out of court. Rafe Judkins and current situation In 2017, Rafe Judkins (Agents of S.H.I.E.L.D) was hired to be the lead writer and showrunner for the WoT TV show. He's since led a team of writers to begin developing scripts. Last month Rafe hosted a Twitter Q&A where he talked, amongst other things, about the tone and focus that fans can expect to see. The Amazon deal is exciting because it comes in the wake of news that another big fantasy project, Conan the Barbarian, had been put on hold. This tells us that the studio has a lot of confidence in the WoT project, which seems to be ahead of schedule compared to the heavily-discussed Lord of the Rings prequel series that Amazon reportedly paid $250 million to acquire the rights to. With today's announcement, Amazon has approved the creation of a single season. We don't know how many episodes that will include, but given today's trends, it's likely to be anywhere from 8-13 episodes. Rafe Judkins has indicated that this first season will focus primarily on the events found in The Eye of the World, but viewers should be prepared for anything. And while the specifics of the plot won't be revealed until the show airs, the clues we've had so far hint at larger roles for the primary female characters (Egwene, Nynaeve, and Moiraine) along with an emphasis on the positive feminist aspects found in the books. The WoT book series was first published in 1990, and at the time, Jordan received heavy praise for his forward-thinking portrayal of heroic women. Time and evolved thinking has softened those views somewhat, but it's clearly Rafe's plan to once more put Wheel of Time at the forefront of the discussion. Multiple news outlets emphasize this point. From Variety: It's unlikely that Moiraine will be the primary main character in the TV show. Some fans have speculated that the show will be an adaptation of the WoT prequel novel, New Spring, but we know that's not the case. If anything, it's more likely we'll see glimpses of the events from that book interwoven to help expand Moiraine's character. The focus of the series, both in the books and the TV show, will be centered on the Two Rivers characters. As always, as we learn more about the series, we'll lost more here. Rafe Judkins, the showrunner for the potential Wheel of Time TV show, answered an assortment of fan questions on Twitter this morning. You can find the entire thread here. Overall Show Status "In development." Amazon Studios is the network currently developing the show. The production studio is Sony Pictures Television, working with Radar Pictures. There has been no official announcement about the show being green-lit yet. This means that while a lot of people are working on developing ideas and screenplays, until a public announcement happens, we do not know if a pilot or full season have been ordered. During the twitter Q&A, Rafe was unable to answer any questions related to the project's overall status, or potential timeframe. 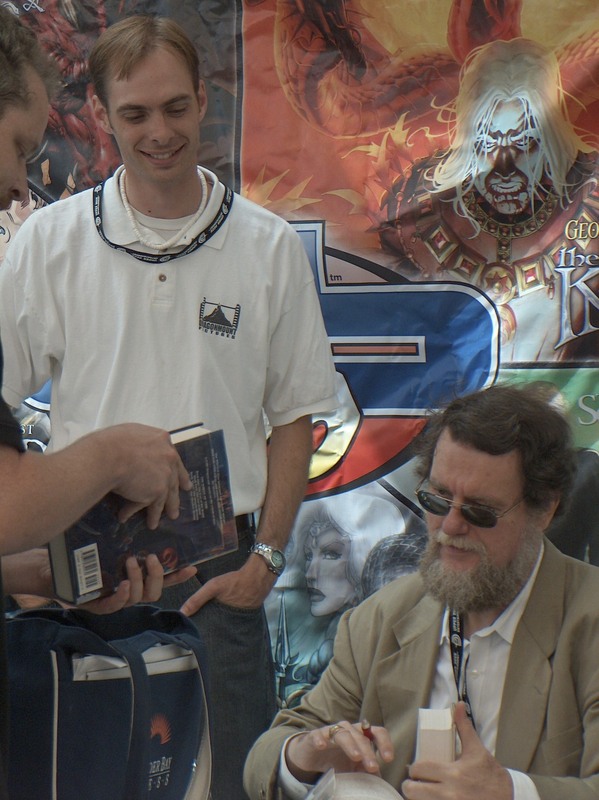 Highlights from the Q&A The plan is to adapt the entire Wheel of Time TV series. Each episode is designed to be an hour long. Rafe Judkins: "I want [the tone of the show] to feel adult but accessible." The first season will largely focus on events from The Eye of the World. But do not expect a straight-forward and literal adaptation that strictly conforms to the way the books tell the story. Rafe Judkins: "... malleable by season and book." Rafe has a special place in his heart for Bela. Casting has not begun, but is expected to happen worldwide, under the supervision of a yet-to-be-hired casting director. Efforts will be made to ensure a diverse cast is selected. Gender representation is important to the series, and to the producers. Rafe Judkins: "I think that gender is such a key theme of the books, and discussing gender without a full representation of LGBTQ+ people would be a disservice to that discussion. Rest assured, their will be pillow friends out the wazoo." Rafe and his team are passionate fans, utilizing as much information about the series as possible fro every source, including all published books, the WoT Companion, fan sites, and Team Jordan directly. Rafe Judkins: "We have freedom to do what we want, but what I want is to stay true to the books" Rafe Judkins: "I really want to stay true to the books in creating a world that feels way more diverse than what we're used to seeing in our fantasy tv shows" Interestingly, the "Rand and his 3 women plot" might change. Logain may have an expanded, larger role in the TV show. So far, Nynaeve has been the most challenging character to write. Rafe and his team are generally trying to avoid merging characters. Rafe is especially excited about the opening chapters in the Weswood, the Aiel Waste plot line, and Dumai's Wells. We will keep you updated as progress on the show evolves. Be sure to follow Rafe's Twitter and Instagram accounts, and while you're at it, check out our twitter feed and Facebook page. Wonderful find, qwurp. Congratulations. That's an old signature, too. 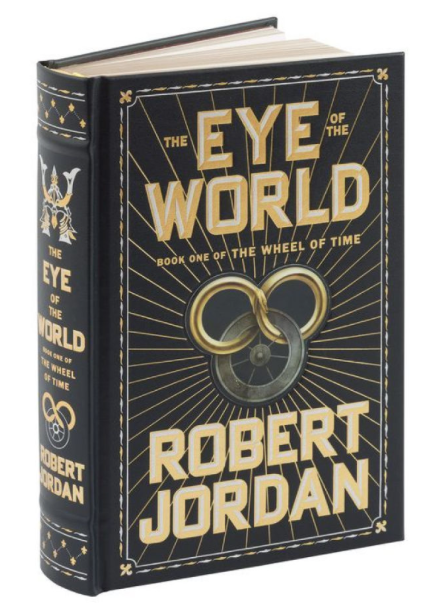 Barnes & Noble plans to release a new, leather-bound edition of The Eye of The World. This new edition will be available in stores on September 30th. You can also pre-order a copy online. The Eye of the World--the opening volume of The Wheel of Time saga--joins an impressive list of well-known novels in Barnes & Noble's Collectible Editions. The images provided on B&N's website show the spine and cover (shown here), as well as an interior photo and the back cover. The interior looks the same as the editions we're already familiar with from Tor. The back cover includes an error in that the "ancient Aes Sedai" symbol is improperly reversed the wrong way. Despite this error, I think we can agree that it's a fine-looking book, and one that's worthy of our shelves. There are no announced plans to make similar editions for other WoT books, and no plans to provide these overseas. B&N is publishing this with assistance from Tor Books, who owns the U.S and Canadian rights. There is already a nice leather-bound copy of The Eye of the World available from Orbit UK.